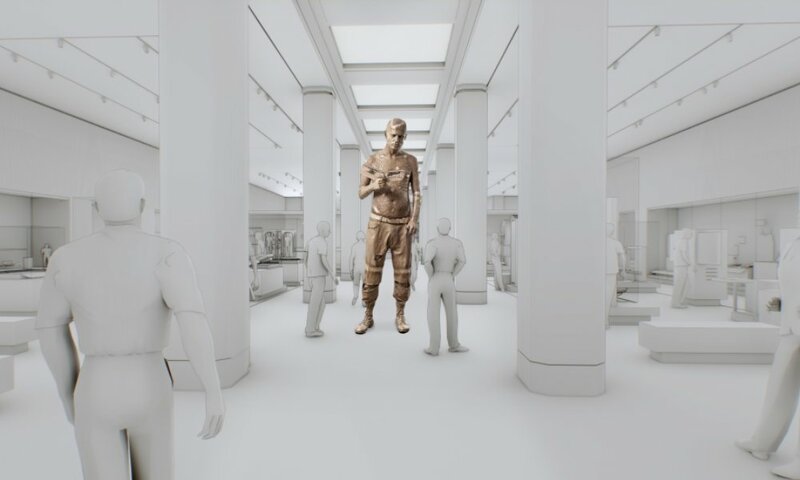 There’s a healthy mix of museum projects being launched and developed both in the UK and internationally in 2019 with some entirely new museum openings that will display never before seen collections as well as new galleries and expansions that will better facilitate the offer and provide improved social and learning spaces for visitors. 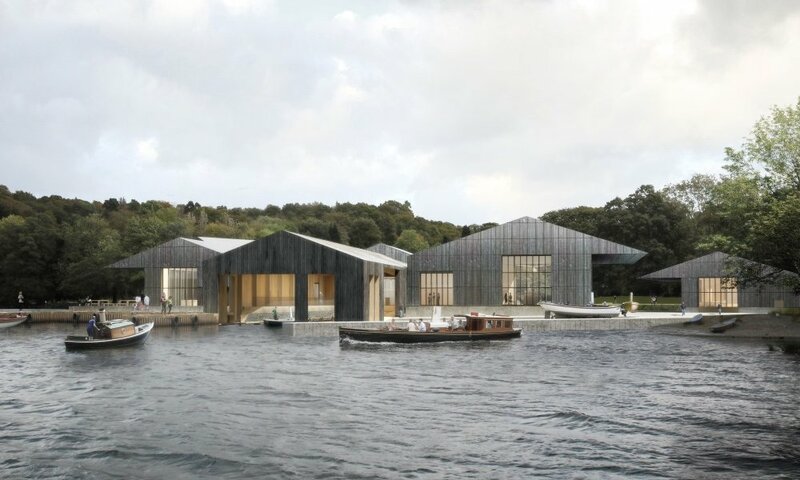 The Lake District’s new Windermere Jetty Museum of Boats, Steam and Stories will open its doors this spring following a £20m development by Lakeland Arts. Located within the Lake District National Park and UNESCO World Heritage Site, the museum tells the story of 200-years of boats, boating and boat building in the Lake District through its internationally significant collection, which includes a rare early yacht, Margaret circa 1780. 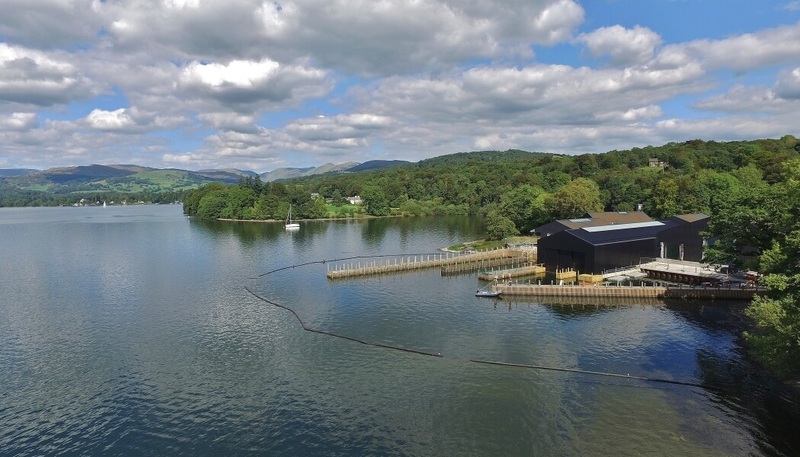 Windermere Jetty is on the site of the former Windermere Steamboat Museum, which was founded in 1977, and will feature an open access conservation workshop where visitors can watch a team of skilled conservation boat builders conserve and restore vessels. The Heritage Lottery Fund has contributing more than £13m to the project with support also coming from the DCMS, Northern Cultural Regeneration Fund, Regional Growth Fund, the Rural Development Programme for England and other trusts and foundations. Also this spring the National Museum of Scotland will complete its 15-year, £80 million transformation when it unveils the fourth and final phase of the project with the launch of three new galleries (at a cost of £30m): Ancient Egypt Rediscovered, Exploring East Asia and the Art of Ceramics. The redevelopment brings together the sciences, humanities and culture, inviting visitors to explore the world under one roof. 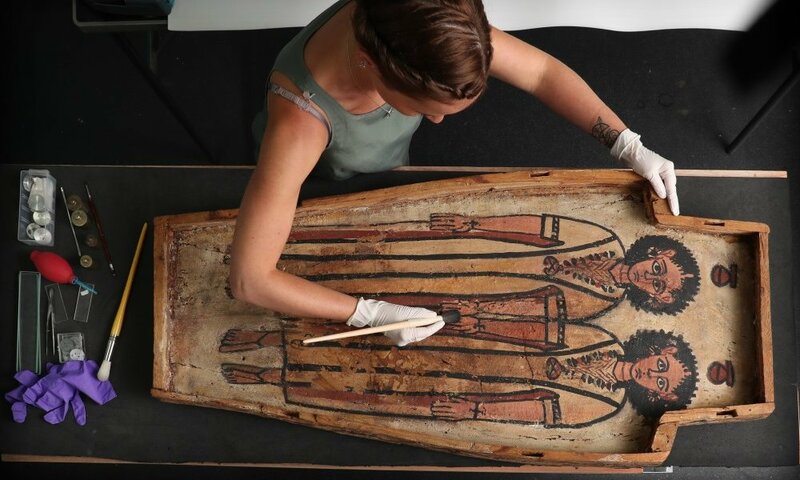 The ancient Egypt, East Asia and Ceramics galleries will allow National Museums Scotland to reveal more internationally significant treasures, 40% of which will be on permanent display for the first time in at least a generation. The project was initiated in 2004 with the vision to transform the experience for visitors with improved accessibility, new public spaces, engaging galleries and updated displays as some had remained unchanged for More than 100 years. The project has seen the architecture returned to its former grandeur with the restoration of the Grade A listed 19th-century building. Based on the collections of Sir Henry Wellcome and the Science Museum, the Medicine Galleries will celebrate one of the largest and most significant medical collections in the world. Over 2500 extraordinary medical artefacts, spanning more than 500 years of history, will enable visitors to discover how all our lives have been transformed by changes in medical research and practice. Set to open in autumn as a permanent display, the Medicine Galleries have been designed by architecture practice WilkinsonEyre and will cover more than 3000m2, an area big enough to park 185 ambulances. The new galleries have been made possible by a £10m grant from Wellcome (Title Funder), £8m in funding from the Heritage Lottery Fund and further support from GSK (Principal Sponsor), the Wolfson Foundation (Major Funder) and Vitabiotics (Major Sponsor). The light-filled visitor centre – to be know a The Weston following significant support from family grant-maker, The Garfield Weston Foundation – will increase essential capacity at the open-air museum and gallery in Wakefield, West Yorkshire, which welcomed over 480,000 people in 2017, its 40th anniversary year. The visitor centre comprises a restaurant, gallery space, public foyer and shop and is an important addition to the Park’s physical infrastructure, which began with the opening of Longside Gallery in 2001; YSP Centre in 2002; the Underground Gallery in 2005; the transformation of the estate Kennel Block into a learning centre and café in 2011; the restoration of the Chapel in 2014; and the refurbishment of the Bothy Gallery in 2016. 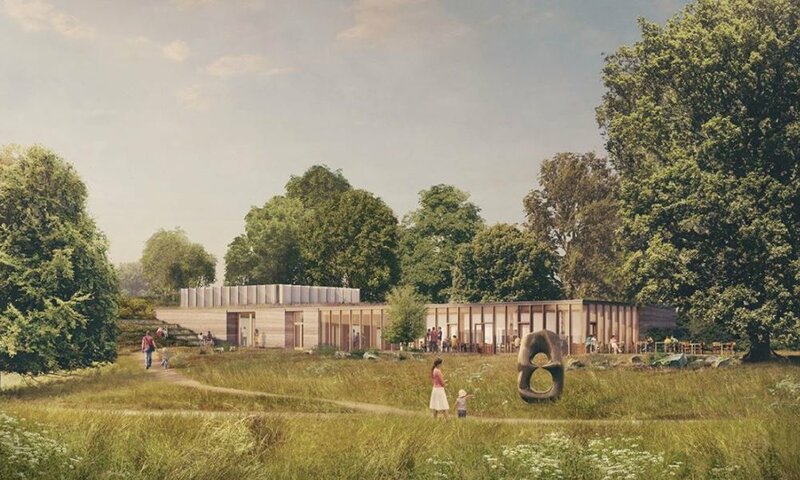 The MK Gallery will include five galleries with spaces for major exhibitions both contemporary and historical as well as films, music, performance, family events, workshops, and socialising. Director Anthony Spira says the new space puts a clear emphasis on community engagement and democratic access to the best of the arts. The new MK Gallery is a ‘dramatic extension’ of the old building opened in 1999, which has also been updated and integrated. Aside from the five double height exhibition galleries the new development includes The Sky Room, a fully flexible auditorium on the upper floor for up to 300 people, with views over Campbell Park and the surrounding countryside, which will be used among other things as the first independent cinema for Milton Keynes, programmed with Curzon Cinemas and a large community and learning studio, leading out into a playscape for children. The new Statue of Liberty museum includes three gallery spaces to inspire visitors and teach them the history of the statue ‘giving all visitors a more meaningful experience and deeper understanding of Lady Liberty’s history’. Objects on display in the museum will include the original torch, replaced in the 1980s, and from the green roof of the building visitors will get a close-up view of the statue, Ellis Island, and in the distance New York City. The new museum has been built as a response to the restrictions that faced the existing museum housed inside The Statue of Liberty, which can only accommodate a fraction of the Islands visitors because of ticketing and security restrictions. 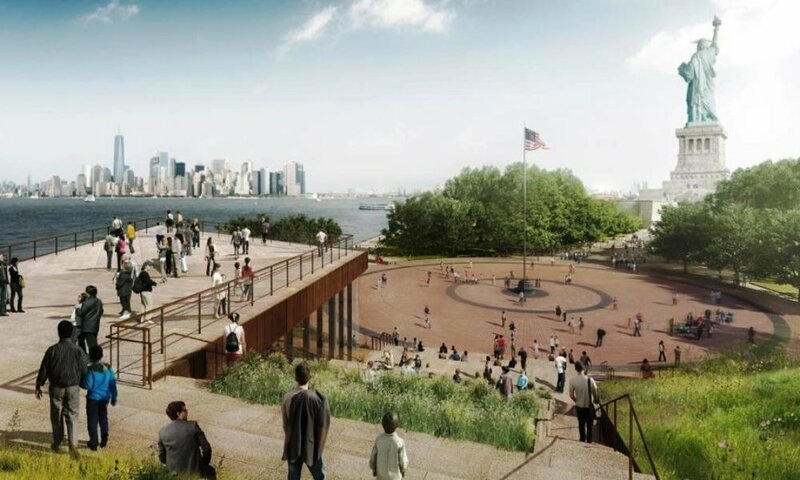 The Liberty Ellis Foundation says that approximately 4.3m people visit Liberty Island and the symbolic statue every year but only 20 per cent see the existing museum but the new museum will allow universal access to all visitors. West Bund Art Museum has been designed by British architect David Chipperfield and covers 25,000 sq m, and will be the main venue for the Centre Pompidou Shanghai project. The project will include more than 20 exhibitions and events both in Shanghai and Paris, and will feature Centre Pompidou’s collection as well as Chinese contemporary artworks. The architects say that ‘the building consists of three main gallery volumes placed in a pin-wheel formation around a central lobby with a triple-height atrium’. 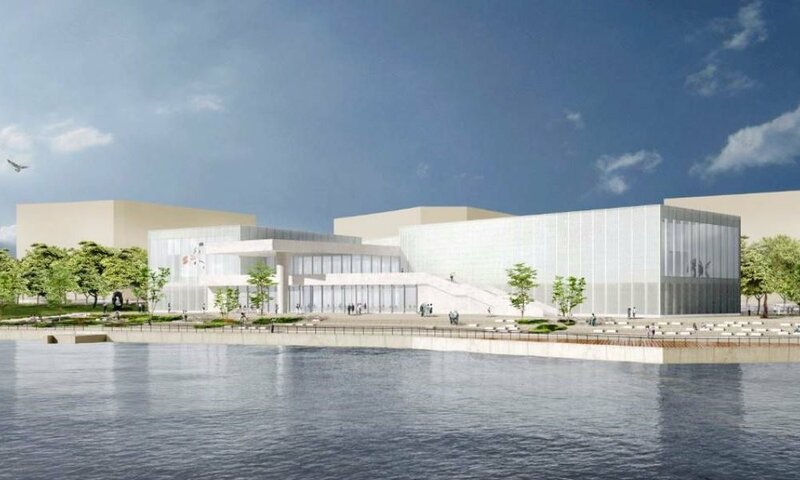 The project is part of the West Bund Group’s plans to boost Shanghai’s cultural landscape, which includes other cultural venues that host the annual West Bund Art & Design Fair. 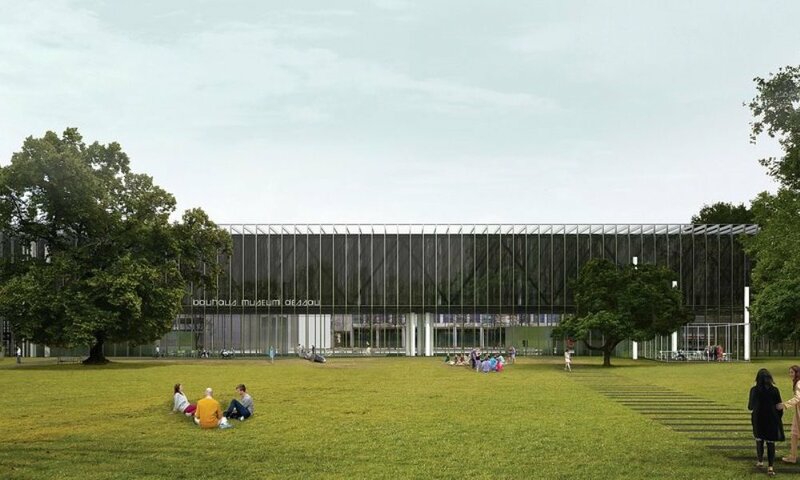 The Bauhaus Museum Dessau is a new building that will better showcase the collection of the Bauhaus Dessau Foundation and will open in the centenary year of the founding of the Bauhaus Art school, which was based in the city from 1925 to 1932 when it was forcibly closed by the Nazis. Built at a cost of €28m (£25.3m), and funded equally by the Federal Government and the federal state of Saxony-Anhalt, the new museum will be able to publicly display parts of the collection, which comprises approximately 49,000 catalogued Bauhaus exhibits, the second-largest collection worldwide. 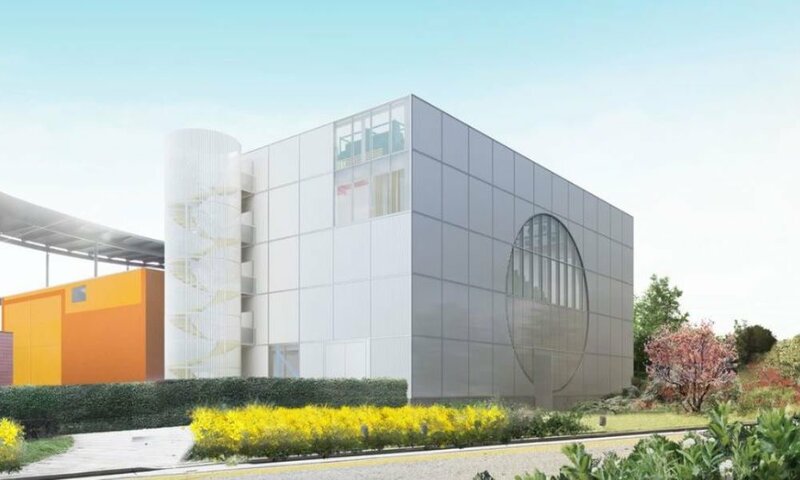 The new museum will have an exhibition space of 2,100 sq m and a total usable area of 3,500 sq m and its location in the centre of the town connects to the existing Bauhaus buildings. 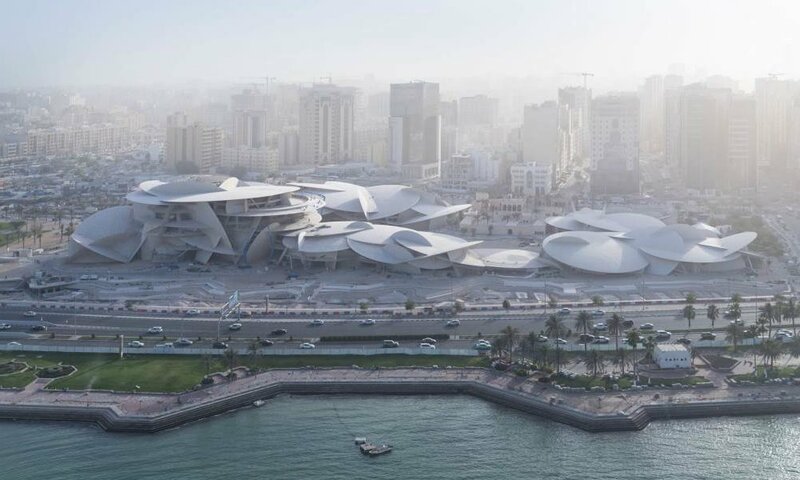 Okay, so the National Museum of Qatar was on Advisor’s list last year but now has an opening date confirmed, so we thought we would take a look at the impressive new museum once again. Designed by architect Jean Nouvel the National Museum of Qatar will tell the story of Qatar, its people and its aspirations for the future. Organised in three sections; Beginnings, Life in Qatar, and Building the Nation, the exhibits will be presented in 11 galleries and include the Pearl Carpet of Baroda, which was commissioned in 1865 and is embroidered with more than 1.5 million Gulf pearls, emeralds, diamonds, and sapphires. The new museum has also seen the restoration of the Palace of Sheikh Abdullah bin Jassim Al Thani (1880-1957), son of the founder of modern Qata. Covering 40,000 sq m the museum will also showcase innovative artworks commissioned from Qatari, Gulf and international artists, as well as historical documents and oral histories. Billed as the largest of its kind in the world, the Street Art Museum (which does not have an official name yet) will be housed in a former welding hangar at the Netherlands Dock and Shipbuilding Company in Amsterdam, which is currently being restored and repurposed. Curator Peter Ernst Coolen from art agency Street Art Today, which creates work for commercial clients as well as creating art festivals for the community, began working on the project in 2015 and has since amassed a collection of 100 works by leading street artists from all over the world. 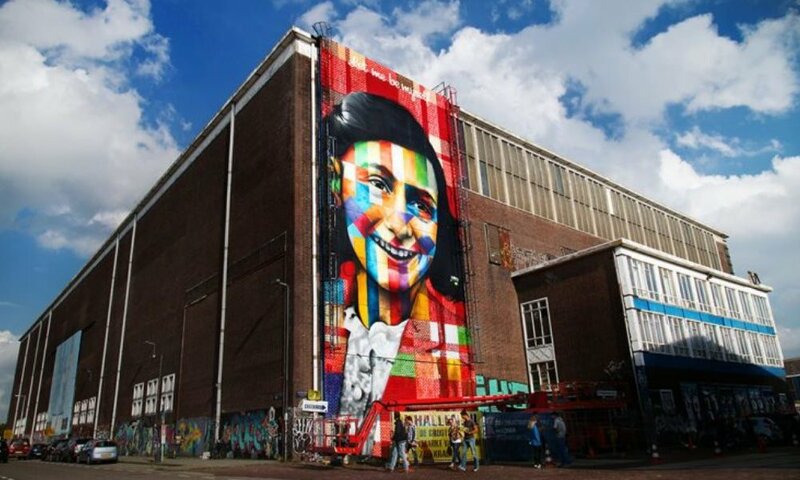 In October 2018 Eduardo Kobra created a 240 sq m portrait of Anne Frank on the exterior of the museum. The future museum has a floor space of more than 7,000 sq m and the team of graffiti and street artists behind it say, when opened, it will be a museum for the people and an international cultural destination.